This is what happens when identity politics runs up against actual law. 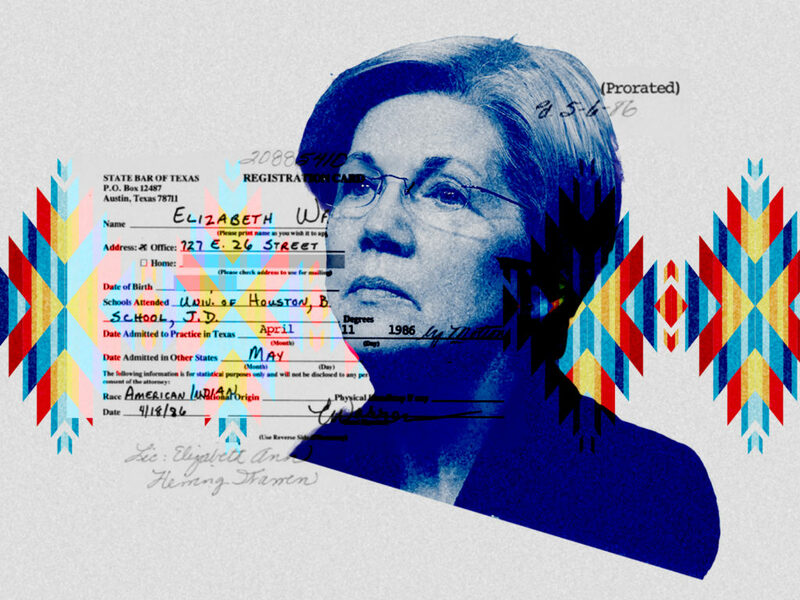 What began in 2012 with Warren righteously claiming that she knew her Native American heritage from her family’s stories and her high cheekbones, and progressed last October to her claim that a DNA test vindicated her, is now a blanket apology for ever making the claim. You don’t see a political narrative collapse like this every day. Politics is a field awash in fabulism, and we’re used to seeing politicians cling to flattering personal narratives no matter what. So why did Warren abandon hers? The answer is contained in the wording of her apology. This is what happens when modern feel-good identity politics posturing comes up against an ethnic identification that has a specific legal identity. But Native American status does not work according to those rules, because it’s not merely an ethnic identification but a special legal status that dates back before the founding of the United States of America. Native American tribes are not immigrant groups. Legally, native tribes have the recognized status of sovereign nations which were incorporated within the United States by treaty as they were surrounded, integrated, and sometimes defeated in war by the expansion of American settlements. This special status has historically conferred certain legal disadvantages—members of Native American tribes were not covered by birthright citizenship and were not necessarily citizens of the United States until the Indian Citizenship Act of 1924—as well as certain legal advantages, such as exemption from some taxes and from regulations on tobacco and gambling. Because of that special legal status, Native American tribes are recognized by state and federal governments and have carefully maintained membership rolls. You can’t just say, “I have high cheekbones,” or refer to stories your grandparents told you, or take a DNA test. There’s a wider lesson here that ties in to the unfolding disaster in Virginia politics. Democrats have seized the high ground against bigotry by using accusations of racism and sexism as partisan weapons—only to find those weapons turned back on themselves. There is often a kind of tokenism behind this, in which politicians such as Virginia Governor Ralph Northam use insinuations about racism against their opponents, but turn out not to have been so fastidious about racially offensive behavior in their own pasts. Warren, too, used her claims of Native American heritage for professional advancement, while having no connection with actual Native American tribal communities. Eventually, this collided with the fact that Native American tribes have a real legal and constitutional history. You would think a Harvard Law professor might know that—unless, of course, she was never all that interested in Native American heritage in the first place. Robert Tracinski is editor of The Tracinski Letter and host of Salon of the Refused.